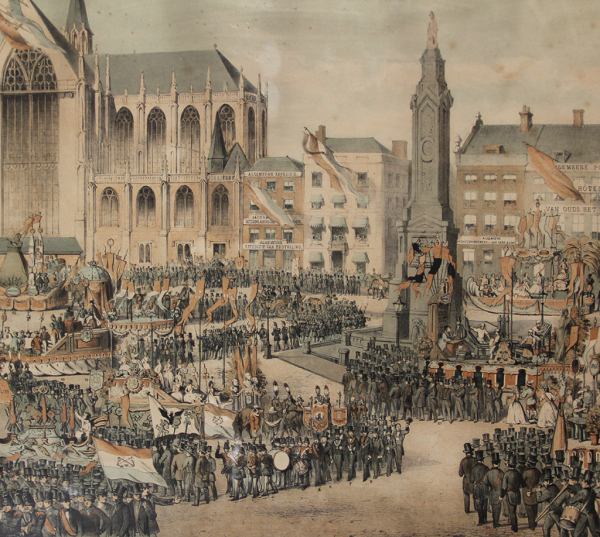 Here at Sovereign House Books we pride ourselves to publish new insights on the 1815 campaign and its battles. We do so by adding the hitherto almost unknown contribution of the Dutch-Belgian fieldarmy, including that of the Nassau troops which also were part of that same army. In fact a conglomarate Netherlands fieldarmy, that was part of the Duke of Wellington's army in 1815. Our publications are based on long lost army reports, divisional and brigade journals, field orders, return strength states & losses, reports held secret by the Netherlands government at the time, as well as many other archival crossreferences to the distribution of medals, communications from the War department and the King's offices. And above all the private memoirs, autobiographies and private letters from both officers, NCOs and soldiers. Both published and in many cases untill now unknown and unpublished. 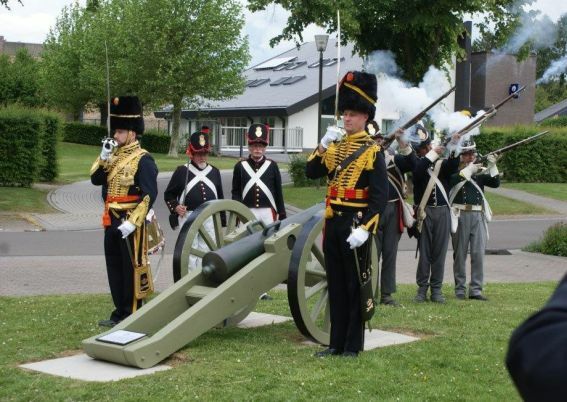 These few hundreds of accounts as wel as the many thousands of small and short field orders do not merely provide a new and more complete light to the role of this Netherlands fieldarmy, but these also add an enormous wealth to understand the 1815 campaign and its battles of Quatre Bras and Waterloo. Since we began publishing our books in 2012 we have had a major impact on the history of the battles and the campaign. Many historians have acknowledged that the input of our books is new, refreshing and finally fills the gap about the Dutch-Belgians. Since 2012 the history we present has become a vital part in over 30 publications by other Dutch and international authors who wrote about Waterloo and 1815. Be part of that experience and order your copies here! Our website also contains a wealth of other information, which you can consult through the menu News! You can order our publications through the menu Books. And we remind you that we are currently having lots of discount actions! So keep coming back!! 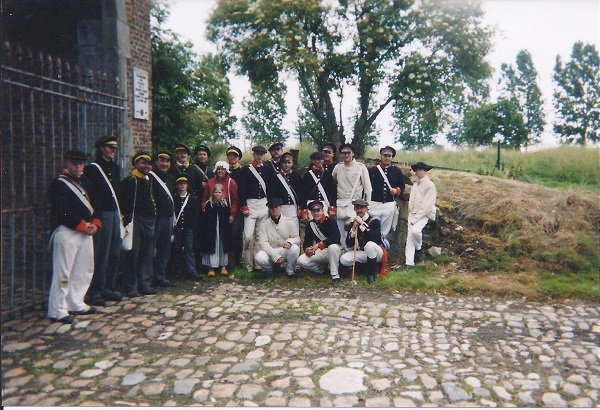 Way back somewhere in 2005 when I still joined a re-enactment group portraying the Dutch 27th Jägers, I took a group with me of various re-enactors to the fields of Quatre Bras. As we walked along on this battlefield tour I explained to them various aspects of the fighting by the Dutch-Belgians in 1815 and showed the particular positions on the field. When we came to the Gémioncourt farm, the current owner and still active farmer, allowed us the rare opportunity to enter the courtyard. In 1815 the farm held no tactical significance as it was positioned between two ridgelines in the low ground and therefore not occupied and fortified (N.B. see a report from Dutch engineers dating from late 1815 who mapped the battlefield, in Volume Two). Only during the retreat of the Dutch-Belgian troops in the opening hour of the Battle of Quatre Bras was it temporarily held by two companies of the 27th Jäger Battalion, reinforced by two companies of the 5th National Militia Btn. in the orchard immediately adjacent south of the farm. 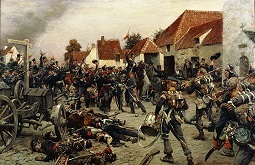 These scenes are described in full detail in Quatre Bras, Perponcher's gamble. As many of you will perhaps never have this similar opportunity to visit Gémioncourt farm, I present a series of photos I took back then. Get 30% discount on all our books with another action from our printers from Lulu. Action ends on 24 July at midnight your local time. Even the Dutch national army museum is interested and has ordered all three volumes! For all three b&w illustrated volumes you would normally pay € 67,-. Now you only pay € 46,90 for all three volumes with 30% savings. For all three full colour illustrated volumes you would normally pay € 98,05. Now you only pay € 68,63 or all three volumes with 30% savings.